Limar Management Services Sdn. Bhd. LIMAR Property is the property arm of LIMAR Group. Our group is primarily involves in real estate investment through acquisition, development and management of hospitality, retail, commercial, research & development and residential assets. 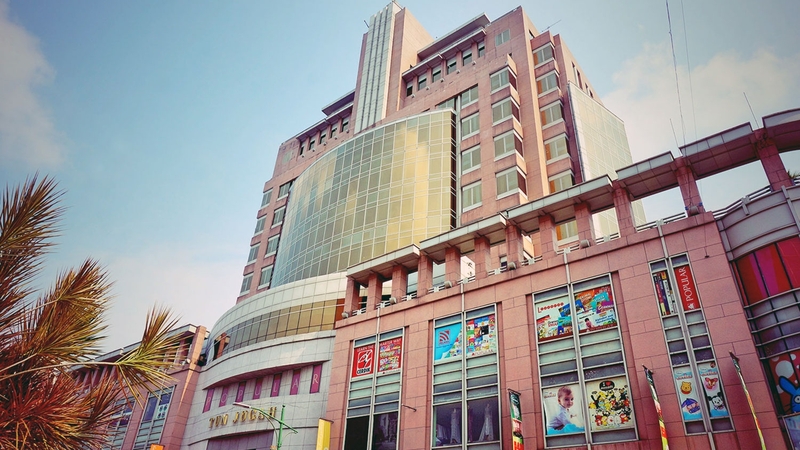 We are a compact neighbourhood commercial centre built in remembrance of the late Tun Jugah – who was a patriot and a national hero engaged in the independence and formation of Malaysia. The centre is strategically located within the Golden Triangle in the Central Business District of Kuching. 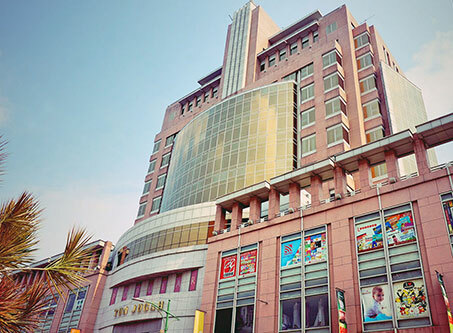 Bordered by corporate offices and a stone throw away from leading financial institutions, international hotels and tourism attractions such as Kuching Waterfront, China Town, etc. Tun Jugah has 3 levels of retail and 9 levels of office suites, and 2 levels of parking with a Gross Built-Up Area of 112,000sft. The exclusive Pascali is strategically located in the heart of the city’s lush green belt in the private enclave. Having been elegantly restored, Pascali comprises six stylish, tastefully fitted apartments. Serene, sophisticated and smart. Pascali is the ideal escape in the city. The ultimate natural gateway from the daily humdrum and stress of city life. Pascali ensures your stay is peaceful admist surrounding nature, yet within a setting of refined luxury. 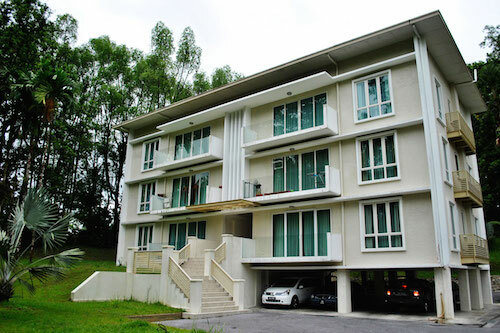 Serega, Senera, Senaya Town Houses area superb spacious house of character and charm of which each unit comfortably sleeps 6. The 3 Town Houses namely SEREGA, SENERA and SENAYA, each with a different identity of its kind. 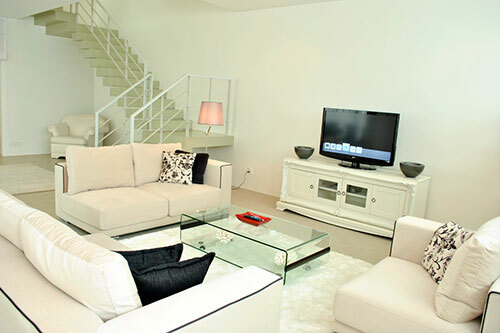 The Town Houses are set in an exclusive location on Bukit Hantu Road. This secure property is set just minutes from the Kuching Town, 5 minutes away from commercial shopping area and 20 minutes away from the Kuching International Airport. The location of the Batu Lintang house is tranquil and private. The house is approached along its own secured, automated gate driveway with a spacious parking space. A lucrative licensed brand of Tune Hotels, it offers a unique and effective way to reach a wide spectrum of customers, with its marketing tactic of “5-star sleeping experience at 1-star price”. 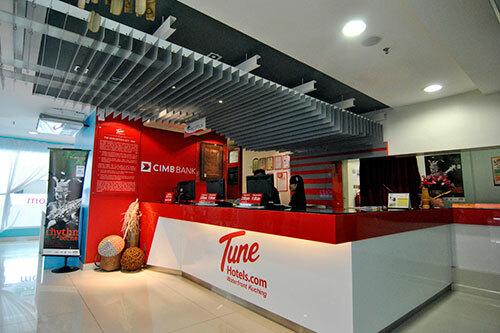 Tune Hotels Waterfront Kuching opened on 2nd March 2009, offers guests excellent value with a convenient location and good-quality, comfortable guestrooms at very low prices. The Hotel is strategically located close to major shopping, sightseeing and business destinations. KERESA PLANTATIONS SDN BHD (74447-V) is a local bumiputra company with about 10 years of experience in oil palm plantation. Currently, Keresa owns a 6,023 hectares of oil palm plantation at Lavang Land District, Bintulu, which started operation in 1996. As at end of 2006, a total of 5,347 hectares has been planted with more than half of it (3, 882 hectares) categorized as matured. Having a yield rate of 24 tonne per hectare, current FFB production is reaching 100,000 tonnes. Upon complete maturity of Keresa’s existing plantation, it is expected to produce FFB of more than 140,000 tonnes per annum. 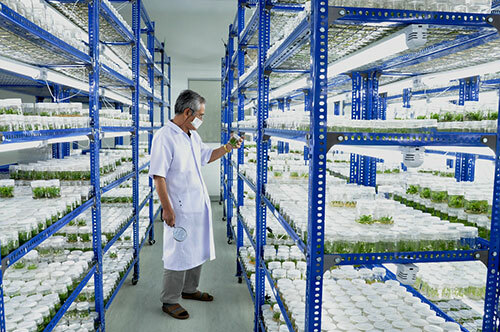 Malesiana Tropicals based in Kuching, Sarawak, Malaysia, is a laboratory and nursery facility devoted to the micropropagation of a variety of ornamental and rare tropical plants. We specialize in unusual species from the Malesian region such as tropical pitcher plants (Nepenthes) and shield leaf plants (Alocasia). 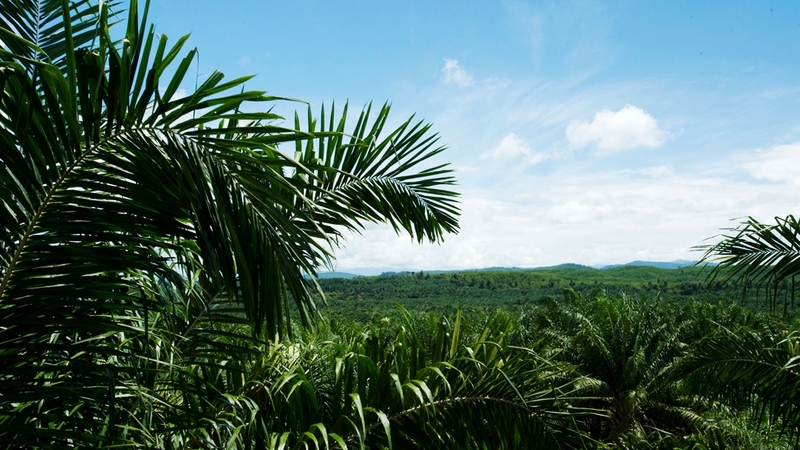 Malesiana Tropicals was established in 1998 with the goal of assisting in the preservation and conservation of the region’s botanical diversity. Following the success of this initiative, Malesiana Tropicals expanded its activities to be become a fully fledged biotechnology company and is now undertaking research and development in agricultural and forestry crops. 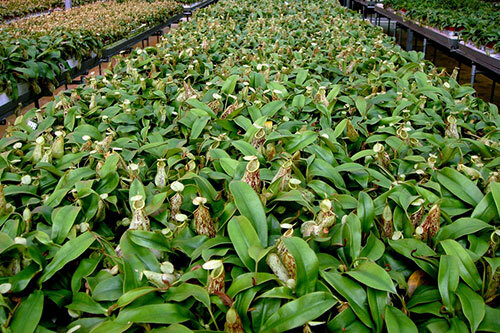 Working closely with the Sarawak Forestry Corporation and Sarawak Biodiversity Centre, we have developed a large stock of CITES-certified laboratory-grown plants. Borneo Plant Technology (bpt) is a startup majority owned Bumiputera company, based in Kuching, Sarawak. bpt is mainly dedicated to the commercialization of Iban ethnobotanical knowledge in the form of novel nutraceuticals and herbal medicines. In an effort to develop products that combine the traditional wisdom of the past with cutting-edge technologies of the future, the company has acquired the exclusive license for the territory of Malaysia for a new technology developed in the UK (Total Quality Profiling – TQP™) that for the first time allows the standardization of medicinal herbs and herbal medicines in a truly adequate and concise manner to enable potential levels of consistency in composition, safety and efficacy in herbs and herbal products so far only thought possible for western prescription medicines. The TUN JUGAH FOUNDATION (Yayasan Tun Jugah) was registered on the 29th day of January 1985, under the Societies Act, 1966 (13 of 1966). The Foundation is a charitable organization. It is managed by a Board of Management, and run by an administrative personnel. Located in the heart of Kuching City Golden Triangle ,The Food Gallery situated on Level 3 of Tun Jugah serves an array of local delicacies. The Food Gallery is your destination for a great meal with value for money. You will be entertained various activities and entertainment during the weekends. With 12 food stalls serving Malay, Indian, Chinese, Vietnamese and Western cuisines that is too good to miss. The juice bar serves varieties of juices to quench your thirst. The favourite `ais kacang’ is a must for `afters’. 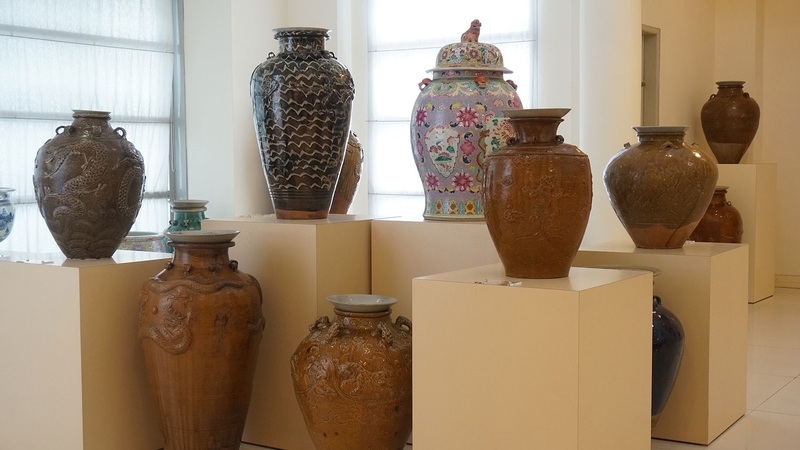 The Food Gallery is a place where you can find it all without a strain in your pocket. Patrons will be spoilt for choice with over 100 dishes in the menu. The Food Gallery easily accommodates 260 diners at any one time and highly suitable to hold small family and corporate function. 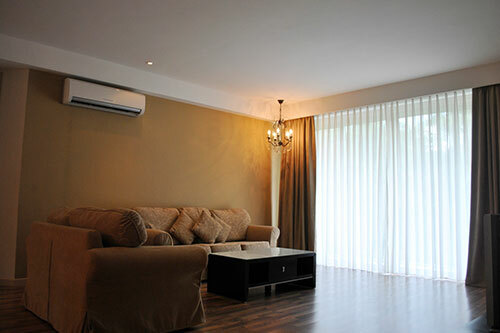 Fully aircondition, clean and warm hospitality extended by staff exudes warm hospitality. The soothing music in the background create a relax and serene atmosphere suitable to ease the strain of office work during the day and an ideal place for families get together.